During the 1850s gold rush, thousands flocked to the goldfields in search of their fortune, and this year, visitors of the furry and cuddly variety are flocking to Sovereign Hill! 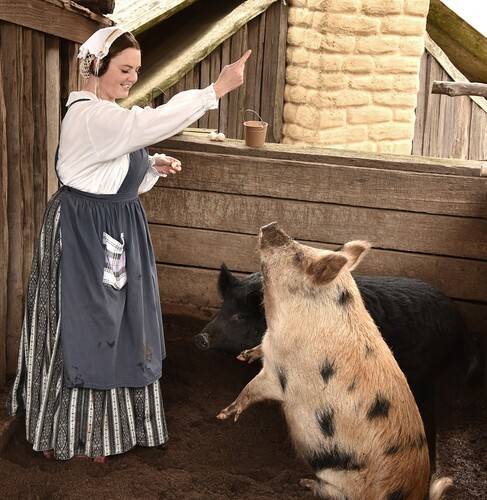 These school holidays, from Saturday 22 September to Sunday 7 October, Sovereign Hill will come alive with bleats and baa-s as they introduce visitors to a whole menagerie of small animals across the Outdoor Museum, and especially the stars of the show—two Australian Miniature pigs called Mary-Kate and Ashley. Visitors can get up close and personal with the animals and learn about just how important such creatures were on the goldfields. There are even reports that a tiger and the occasional monkey made it there! - This little Piggy: Come and meet Mary-Kate and Ashley. Arriving at Sovereign Hill last year, they were very shy, but they are now a year old, have excellent manners and love doing tricks for attention. They can jump up, twirl and follow a target! Catch these mischievous girls every day as they charm visitors. 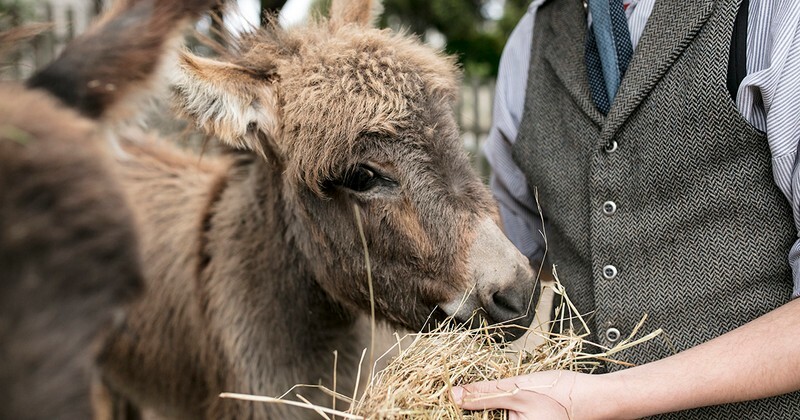 - Animals on the Goldfields: Meet chickens, miniature donkeys, horses and other goldrush animals on this guided tour at 11 am, 12 noon, and 3pm daily. Meet at the Victoria Theatre. And don't forget to visit the Baby Animals Nursery, and meet the youngest members of Sovereign Hill’s family at 11:30am, 12:30pm and 3:30pm at the Horse Bazaar. - Goat Milking Demonstration: Watch Sovereign Hill’s goat being milked by hand. - Butter Churning and Damper Making: Learn how to make butter the old-fashioned way, and then cook up your own delicious damper to enjoy it with. Daily at 12:30pm. - Lamplight Tours: See the darker side of Sovereign Hill with these nightly tours, taking in the sights and stories of the goldfields under the glow of lamplight. Every night during the school holidays, visitors can meet the 'local residents' and learn about the illnesses, accidents and even deaths that threatened them! - New Normanby Mine Surface Tour: These ruins are located in a restricted area of Sovereign Hill, which has never been opened to the public before. Join us for a unique opportunity to learn about one of Ballarat's last company mines (dating back to 1886) to shut its doors. From searching for gold in the creek to taking an underground mine adventure tour from watching boiled sweets being made to trying your hand at writing with ink and nib in an 1850s school, you will love spending a day in the life of the people—and animals—you would have met on the goldfields! Ph: (03) 5337 1199 or visit Sovereign Hill website.